'Sleeep' is the last thing on Janet Jackson's mind as her comeback is clearly on that hyperactive ish. On Monday Janet kicked off the first leg of the Unbreakable World Tour in Vancouver, and already it's receiving rave reviews. Though the show's wardrobe choices are a bit on the 'um okay' side (...diaper looking harem pants? Really, Janet? ), most are focused on the fact that the Queen is back to reign supreme as brand new choreography and new material from the Unbreakable album have successfully ushered in a brand new era. 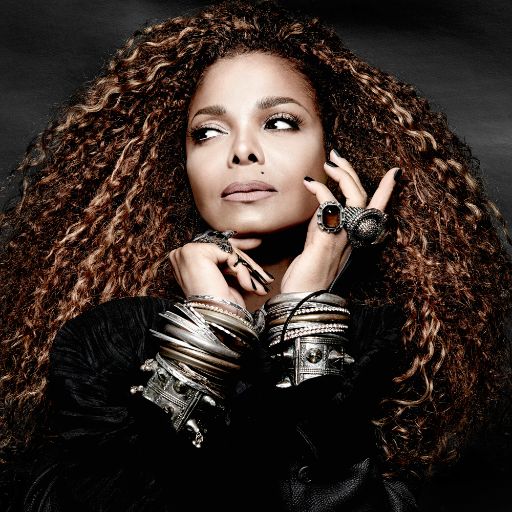 The thirst for Unbreakable, the album, won't be quenched till October 2nd, but as her savvy comeback strategy has already proven, Janet is keeping us keenly teased and perched as coinciding with the tour's upstart she also unveiled this week Unbreakable's stunning album cover and its tracklisting via her new favorite medium, Twitter. "Themes will include, Janet’s views on where we stand today as individuals and as the inter-related elements of a planet. Some of these relate to her convictions passionately expressed in Rhythm Nation 1814, including the need to bring things out in the open and to have a dialogue. The album also will mark the first time Janet Jackson has opened up about her brother Michael and with reflections concerning her youth. Inherent in this music will be her feeling that we must learn to celebrate life and the things each of us experiences and endures and how that process can make each person stronger." While Janet is serving good face and urban witchery this side of a Stevie Nicks crystal vision on the Unbreakable cover, Janet is throwing back into a '70s love groove for Unbreakable's title track, which she also premiered this week and if people thought Janet played it too cool, calm, and collected when she dropped "No Sleeep", then "Unbreakable" has a bit more bite to it, as Jimmy Jam and Terry Lewis wrap Janet and her sweet mezzo-soprano into a warm down blanket of tranquil, bass-thumping soul that puts love into action. Humble as always, Janet themes "Unbreakable" as a dedication to her loyal fan base, spinning off familiar lines from the 'love letter' she passed on back in June, fading out, with a spoken-word promise that the Unbreakable era is where she starts over afresh. All in all, it's a lovely slice of new that not only calms nerves over what type of sound Janet was going to adapt seven years after Discipline, but keeps attention rapt on what else is fabulously in store. + Unbreakable is available for pre-order via iTunes.